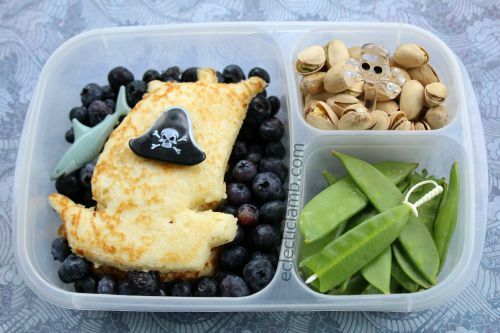 Me nephew helped me make this pirate themed lunch for him. He had fun placin’ t’ picks and blueberries. I love your pancake pirate ship! Thanks for linking!